"Captain Needa, the ship no longer appears on our scopes." Nemet was a Human male who served in the Line Branch of the Imperial Navy, attaining the rank of commander by 3 ABY. That year, he served as a logistics officer aboard the Imperial II-class Star Destroyer Avenger, attached to Dark Lord of the Sith Darth Vader's personal Star Destroyer fleet, Death Squadron. While serving aboard the Avenger, Nemet relayed important scanner information to the ship's commanding officer, Captain Lorth Needa. Following the Battle of Hoth, the Avenger was charged with pursuing the fugitive YT-1300 light freighter Millennium Falcon from the Hoth system. Nemet was aboard the Avenger's command bridge when the Star Destroyer lost track of the Falcon in the Anoat system, and he reported to Needa that the freighter was no longer visible on the Avenger's sensors. When Vader demanded an update on the pursuit of the Falcon, Needa ordered Nemet and the rest of his command crew to continue searching for the freighter before going to the Dark Lord's flagship, the Super Star Destroyer Executor, to personally apologize for his failure—an act that would lead to the captain's execution. "They can't have disappeared. No ship that small has a cloaking device." "Well, there's no trace of them, sir." The Human male Nemet lived during the Galactic Civil War, a conflict between the Galactic Empire and the Alliance to Restore the Republic. By 3 ABY, he attained the rank of commander, and was a member of the Imperial Navy's Line Branch. That year, he served as a logistics officer aboard the Imperial II-class Star Destroyer Avenger, attached to Dark Lord of the Sith Darth Vader's personal Star Destroyer fleet, Death Squadron. During his service aboard the Avenger, Nemet relayed important scanner information to Captain Lorth Needa, the commanding officer of the Star Destroyer. In 3 ABY, following the Battle of Hoth, Nemet was stationed on the Avenger's command bridge when the warship was charged with pursuing the fugitive YT-1300 light freighter Millennium Falcon—carrying Rebel fugitives Han Solo and Princess Leia Organa—through the Hoth system. During the pursuit of the Millennium Falcon, the freighter at one point outmaneuvered the Avenger and caused it to almost collide with another pursuing Star Destroyer. The Avenger chased the Falcon into the Hoth asteroid field, where the fugitive ship evaded the Star Destroyer by unknowingly taking cover in the mouth of a space slug housed in one of the asteroids. The Avenger traveled into the asteroid field to search for the Falcon, where it suffered significant damage. Eventually, the Millennium Falcon reappeared, and was spotted by the Avenger. Needa had a priority signal sent to Darth Vader's flagship, the Super Star Destroyer Executor, with the message that the Falcon was about to be captured. Nemet was working in the crewpits of the Avenger's command bridge when the warship pursued the fugitive Falcon into the neighboring Anoat system. The freighter charged the bridge, setting off alarms throughout the Avenger. Nemet, along with Needa and the rest of the command crew, dove for cover before the Falcon veered away at the last moment, and seemingly disappeared from the Star Destroyer's sensors. Unbeknownst to Needa and his crew, the Millennium Falcon simply landed on a blind spot of the Avenger's conning tower. Nemet attempted to track the Falcon on his scopes, but was unable to locate it. He reported to Needa that the Falcon was not visible on the Star Destroyer's sensors, and Needa dismissed the idea that the freighter could have disappeared, dispelling the idea that a ship that size could have a cloaking device, to which Nemet replied there was no trace of the Falcon. Seconds later, communications officer M'Kae reported that Lord Vader demanded an update on the pursuit of the Millennium Falcon. Needa decided to personally apologize to the Dark Lord for the failure, and ordered a TIE/sh VIP shuttle to be prepared for his visit to the Executor. Needa gave one last request for his crew to continue their search for the Falcon, before traveling to the Executor to rendezvous with Vader, who ultimately executed the captain for his failure. Like many Imperials, Nemet was fiercely competitive. When he spotted the Millennium Falcon heading directly towards the Avenger's bridge, Nemet panicked and reported that the Star Destroyer was going to collide with the freighter. The commander took cover along with Captain Needa and the rest of the command crew when the Falcon flew towards the bridge, and later reported his failure to track the freighter to Needa. Nemet was possessed of fair skin, as well as brown hair. Commander Nemet wore the standard-issue Imperial officer's uniform during his service aboard the Avenger's bridge in 3 ABY. Nemet made his first appearance in 1980's The Empire Strikes Back Storybook, simultaneous with the novelization of the film Star Wars: Episode V The Empire Strikes Back released later the same year. In the film, the character was only credited as one of the "Other Officers," portrayed by Mark Jones. Toward the end of the film, footage from the Avenger scene was reused during the Executor's attempt to capture the Millennium Falcon following its escape from the Imperial-occupied planet Bespin. Because of that, Mark Jones and other extras portraying the command crew of the Avenger are visible during that scene aboard the Executor. The film's script refers to him as a "Tracking Officer." In 1997, Nemet was first given a name and brief backstory in a card for the Star Wars Customizable Card Game's "Dagobah Limited" expansion set. In 2004, Nemet was also featured on a card for the "Rogues and Scoundrels" expansion set of the Star Wars Trading Card Game. "Captain...! I-It's gone! Doesn't appear on any of our tracking scopes. Perhaps they went into light-speed at the last instant..."
In several adaptations of The Empire Strikes Back, Nemet's lines regarding the Millennium Falcon differ from the film. In the novelization, in addition to having a different line, his dialogue with Needa is expanded to him also suggesting the only logical explanation was that the Falcon went into light-speed, which contradicts with what is seen in The Empire Strikes Back film. A similar line about the freighter going into light-speed is given to him in Marvel Comics' Star Wars 42: The Empire Strikes Back: To Be a Jedi. The film's junior novelization also indicates that Needa turned and gave Nemet the order to track the Millennium Falcon immediately after its maneuver against the Avenger; however the film shows Needa speaking with his first officer. Additionally, the novelization, Storybook, and Marvel comic have the line "We're going to collide!" as the Millennium Falcon charges the Avenger's bridge, though each adaptation assigns it to a different character. While the novelization presents Commander Nemet as having the line, the Storybook gives the line to Captain Needa himself, and the comic depicts Needa's first officer as the speaker. This article assumes Nemet having the line in the novelization is the canon version of events, given the greatest similarities to the film. "Captain, the ship's disappeared from our scopes! There's no trace of them!" 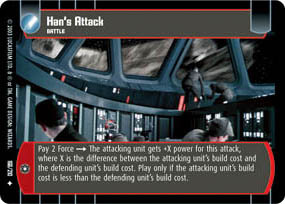 In the non-canon comic Star Wars Infinities: The Empire Strikes Back 1, during the Millennium Falcon's escape from Hoth, it charges a Star Destroyer's command bridge, before landing on its conning tower and drifting away along with the garbage disposed by the Star Destroyer in a scene practically identical to the freighter's maneuver against the Avenger from The Empire Strikes Back. In that scene, a black-uniformed Imperial officer in the command bridge's crewpits—whose uniform differs from Nemet's gray uniform—has a similar role in informing the ship's captain that the Falcon has disappeared from the Star Destroyer's scopes and that there is no trace of the freighter. However, neither the Star Destroyer nor the captain were named in the comic, and thus it is unclear whether Nemet was the aforementioned officer.